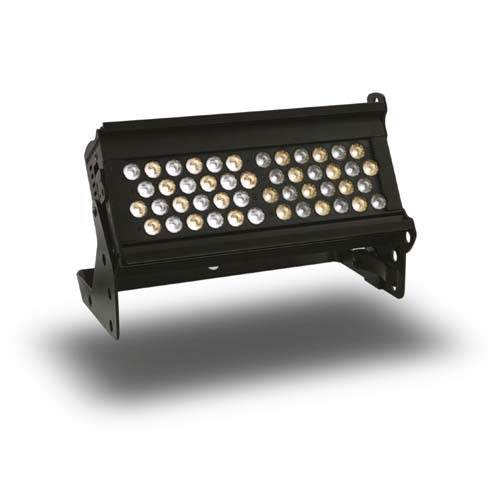 Utilizing the same core technologies as the innovative Chroma-Q® Color Force™ 12 multi-purpose LED fixture, the new Studio Force™ V 12 is a 3,000K – 6,100K CCT, variable white version featuring laboratory calibrated 3200°K and 5600°K presets that is specifically designed for TV, film, touring, exhibitions, corporate events and theatre lighting applications. At only 300mm / 1ft* long, the unit is ideal for floor, wall or truss mounting. It also provides an extreme output of 5,930 lumens for evenly washing large areas, complemented by smooth, theatrical grade dimming.